Sunshine State Sarah: Go see the Sarah Palin movie...I dare you! I admittedly showed up at the theater with a somewhat-contradictory set of preconceived notions, some positive, some negative, based on my observations and interactions with some of the people involved in this project over the past few years. Now having seen the film, I have to say that it exceeded my expectations, in multiple ways. Last year, I saw another Stephen Bannon film, "Battle for America," and really enjoyed it. Bannon came to Orlando for a screening so I got to meet him. He's extremely gracious and sincere in person, and his passion about fighting for his political beliefs is clearly evident. Bannon has a distinctive style of filmmaking that I really enjoy: intertwining archived news footage with interviews with the people who directly experienced the events, clever graphics, and humorously-acted vignettes. The emotional power of this film surprised me. From the opening recollection of the vicious leftist attacks on Palin from media and Hollywood celebrities to the scenes near the end recapping the 2008 Presidential election and summarizing the state of the country today, Bannon takes the viewer by the hand and leads them through a warm, engaging, and powerful story. The bigger surprise, however, was how the movie made me reevaluate Sarah Palin. 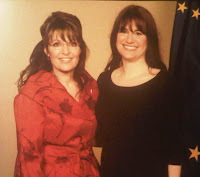 I've been a fan of hers since her emergence on the national political scene as John McCain's running mate. I was thrilled and moved to tears when I watched her speech in Dayton, Ohio the day she was announced as a candidate. I bought a copy of her book Going Rogue, and dressed up like her for Halloween. I've heard her speak several times and even got the chance to meet her last year. In person, the energy she conveys on television is even more intense, and her warmth and sincerity are immediately obvious. Every eye in the room is drawn to her and she is just plain electric to be around. 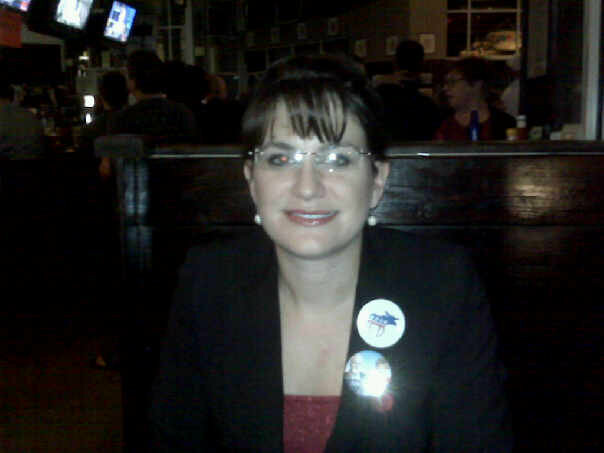 So, yeah, I'm a Palin fan. But the unrelenting ugliness of the attacks on her from the left and the mainstream media had worn down a lot of that enthusiasm. I've always viewed her as intelligent and a passionate fighter for conservative causes, but I had begun to doubt her viability to run for national office again any time soon. For me, the biggest impact of the movie was to reinvigorate the emotions that so many of us had in 2008: the pride we had in our party's vice presidential nominee, the enthusiasm we had for her tough backbone and solid conservative politics. Take a moment and think back to August 2008. Do you remember how you felt back then? The excitement, the energy? The disappointment about John McCain (because most of us supported other candidates in the primary), the worries about his moderate tendencies, all lifted from the first instant she spoke that day in Dayton? McCain had seemed to me to be just the latest incarnation of the party's unfortunate tendency of picking the next oldest guy in the room, but now here was this smart, feisty, and beautiful woman who spoke with such poise, eloquence and power. Listening to her, I got a strong feeling of "Ah-ha! Here's someone who is speaking the truth. Finally! Finally!" Oh and her name is also Sarah? Awesome. Palin's ethics and priorities are clearly defined, and she has unwaveringly followed them like her own personal North Star. This point is driven home over and over again in the movie, and in my opinion is the heart of why she is appealing to so many people. Palin has a great quote regarding the establishment political consultants who tried to influence and bully her: "In politics, you're either eating well or sleeping well." The most powerful example of Palin's adherence to her own ethical principles is her years-long battle with Alaska's oil and gas industry. Everyone has heard general statements about how she "reformed" the industry and "took on members of her own party," but for most of us, the details are fuzzy. There is so much more to the story, and this film does an amazing job of walking us through it. Palin didn't just reform her state's relationship with the oil and gas industry, she completely redefined the entire way they do business. It is honestly one of the most impressive accomplishments I've ever heard associated with a politician. This section of the movie was my favorite, and Bannon's team did an amazing job telling it. The vicious enthusiasm with which Palin's critics target her has always bewildered me. After watching this film, I've gone from bewildered to infuriated. The mainstream media has spent the past few years engaging in journalistic malpractice when the story involves even the most tangential connection to Palin. Sadly, the Republican Party establishment and the vast majority of the members of our party have remained largely silent on the issue of the character assassination of Sarah Palin and have declined to stick up for her. Andrew Breitbart, who was interviewed for this film, has some very harsh words for these Republicans, branding them as "eunuchs," not man enough to defend her. Watching this movie is to witness step by step, year by year, the challenges that Palin has faced and overcome, mostly on her own. You cannot help but respect her backbone. There's a reason that #fightlikeagirl has been a popular hashtag on Twitter lately. 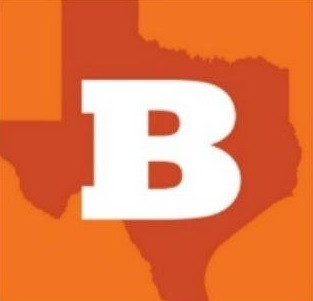 YouTube | Reviews of "The Undefeated"
RedState | Ben Howe | Palin. I highly recommend that you read Howe's review in its entirety. He has also posted a link to an interview he did with Bannon about the film that you should check out as well. So, to go back to the title of this post: I dare you to go see The Undefeated. Whether you love Sarah Palin or hate her, you will come away from this movie with a new perspective on her abilities and accomplishments. Is she running for President? Maybe. Maybe not. But regardless of whether she throws her hat in the ring this year, I am convinced that her voice is a valuable one, and one that we need to hear. From this point forward, anyone who seeks to criticize her without seeing this movie or at least acknowledging its content will be proving the per se illegitimacy of their position. The movie opens tonight in select AMC theaters. In Orlando, you can see it at the AMC Universal Cineplex, 6000 Universal Blvd. at 1:00 p.m., 3:45 p.m., 6:30 p.m., 9:15 p.m., or 12:00 a.m. (buy tickets here). For other locations, click here. 64% of single women vote Democrat. Women are the core vote of the Democratic Party, hence the vitriolic attacks. I am so thankful that you posted this blog. I had no idea the movie was coming out until you did! My best friend and I went and saw it last night. What an extremely powerful movie. We are in our 20's/early 30's and it is shocking to us how the government is being run. These shear veroscity of the attacks on Sarah Palin are so unbelievable. I cannot believe how the liberal media touts so much hatred, yet cannot give their hatred a valid foundation. I hope more people get the word out about this movie. I cannot wait until the dvd version is available. I know what everyone in my circle is getting for Christmas. In regards to the above comment, a stat like that makes women sound uneducated. People should vote the issues, not the parties. I am a registered Republican but have voted Democrat on occasion based on the issues.